ducky house | the quacks of Tamara Frampton Vieira: shop update time! Hello good folks, tune in at my shop around 2:00 pm EST. 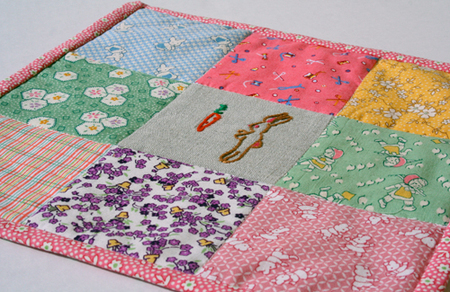 I have some lovely mini quilts & coasters that are filled with patchwork, linen love. Oh so reminiscent of Spring! See you there!